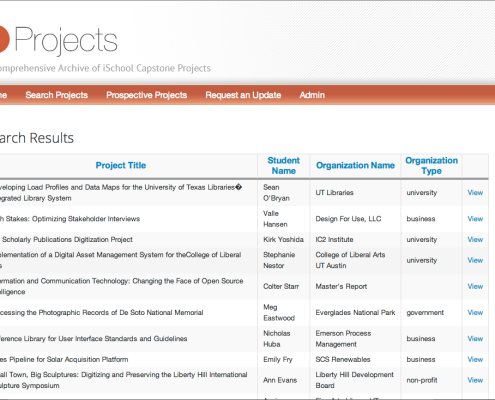 iProjects was a semester-long group project that entailed creating a database for the Capstone projects at the iSchool in order to make the information more accessible and user-friendly. The primary goals of the project were to allow students to find ideas for their projects, find organizations to work with, and expand on past projects. 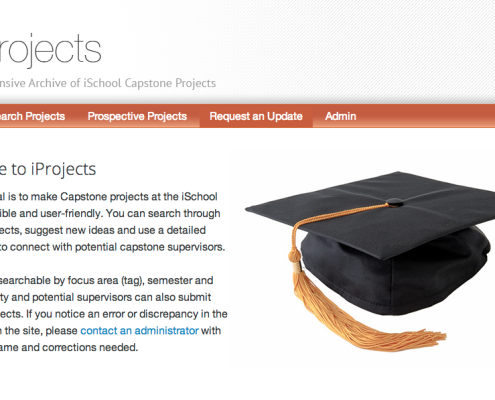 Additionally, we wanted the database to provide ideas to help information professionals connect with students who could potentially work on Capstone projects for their organizations. 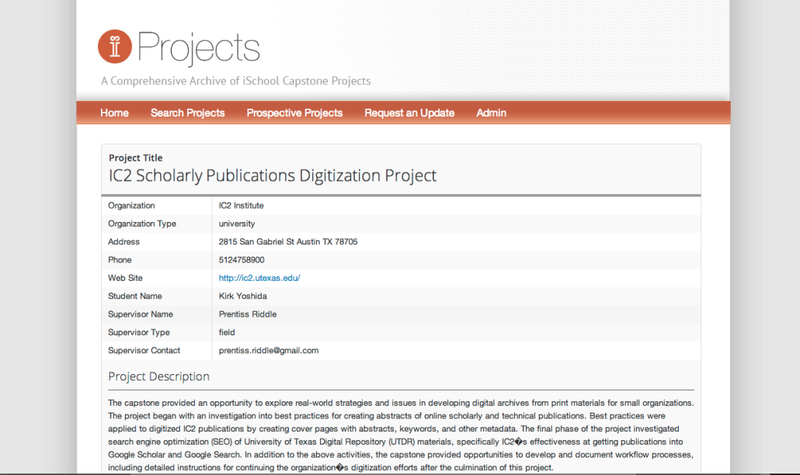 The database includes all the details currently on the fall 2012 poster presentation PDF documents on the iSchool website. 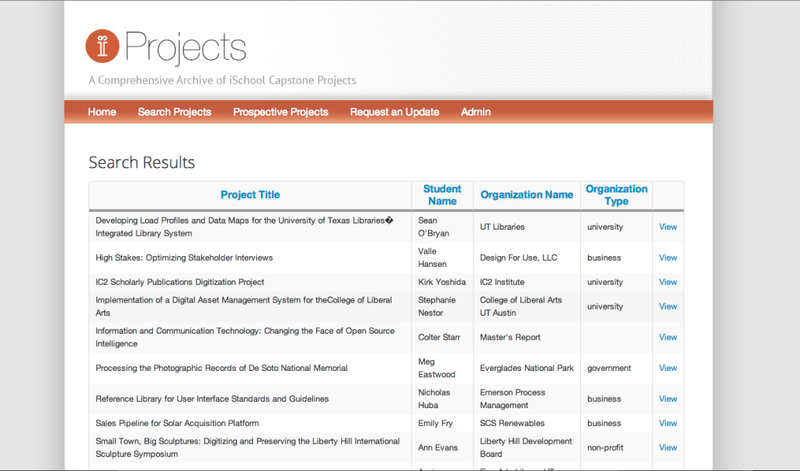 It classifies the information by organization, project track (archives, libraries, user experience, etc.,) project type, year, student, and supervisor. 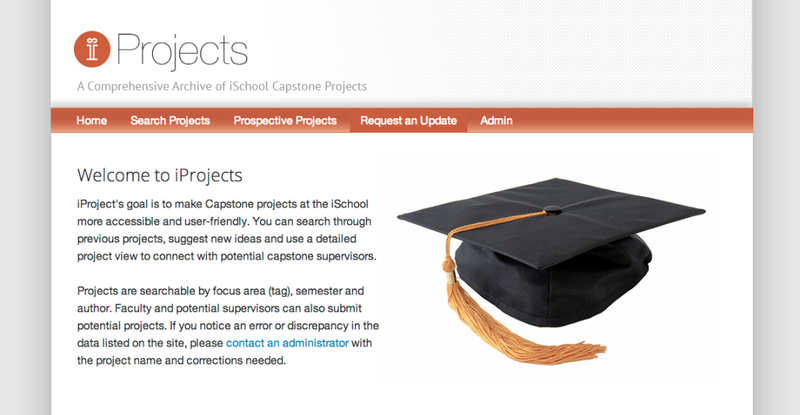 We also incorporated a feature allowing librarians, professors and other information professionals to post ideas for potential Capstone projects. Future features could build on this basic functionality. 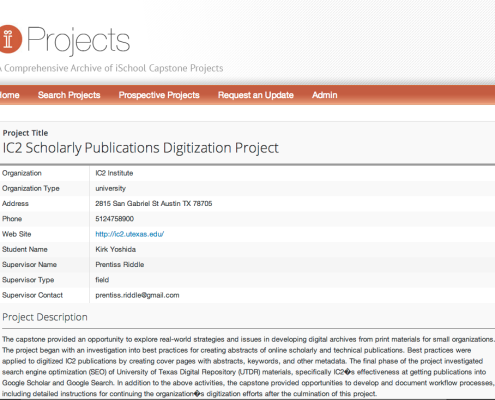 The database can continually be expanded as future poster sessions occur, or used to archive sessions from past years. If desired, the posters could also be included in a browsable thumbnail and downloadable as a PDF.